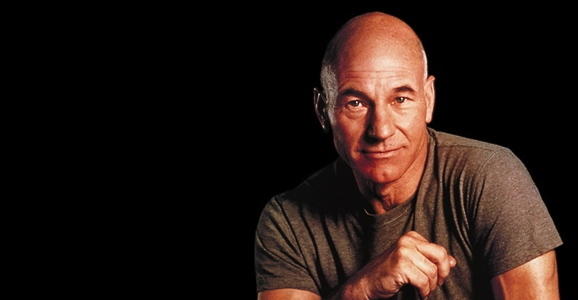 We’ll love Patrick Stewart forever just because he happened to play Jean-Luc Picard on Star Trek: The Next Generation (it doesn’t hurt matters that he also makes a damn fine Professor X/Charles Xavier in the X-Men movies). But by all accounts he’s a solid dude to boot. For example, he recently gave a sick young Star Trek one hell of a fantastic surprise, something she’ll never forget. Eleven-year-old Georgia resident Dawn Garrigus is a massive Star Trek fan. She also happens to suffer from mitochondrial disease. This is an inherited chronic illness that leads to a variety of problems, including poor growth, as well as debilitating physical and mental disabilities. It’s progressive, getting worse over time, and there is no cure at the present time. Through the Make-A-Wish Foundation, Dawn was recently able to go to Dragon Con, a science fiction and fantasy convention in Atlanta, where her favorite series was scheduled to make an appearance. She even dressed up like Spock for the occasion. Stewart was one of the actors scheduled to appear, and through the grape vine, he heard about Dawn, that she would be attending, and that she is a huge fan, and on September 1, he surprised her with her own personal meeting. Though she knew she was going to attend the convention, she had no idea she was going to get to hang out with Steward basically until right before it happened. Which has to be one hell of a shock for any Star Trek fan. The two were able to hang out and chat for a good while, and the encounter left quite the impression on the young Trekkie. And according to her parents, Danny and Kristy Garrigus, it was “the happiest [they] had seen her in quite some time.” You can imagine why. He’s right! Trekkie is demeaning. I suggest instead that people who get butthurt over this term should be referred to as Tribble-Humpers. You sir, are most definitely a Trekie. Nobody cares what you call a Trek fan. The point of the story was to show how awesome Patrick Stewart is, not a test of nomenclaturial purity. Patrick Stewart is a f**king superstar. God bless you sir.